Several installments of the Gundam franchise, including Wing, Seed, SD, 00, 8th MS Team, and G Gundam are all strong candidates, partially because each one uses the combat and warfare they depict to make some sort of argument for peace. 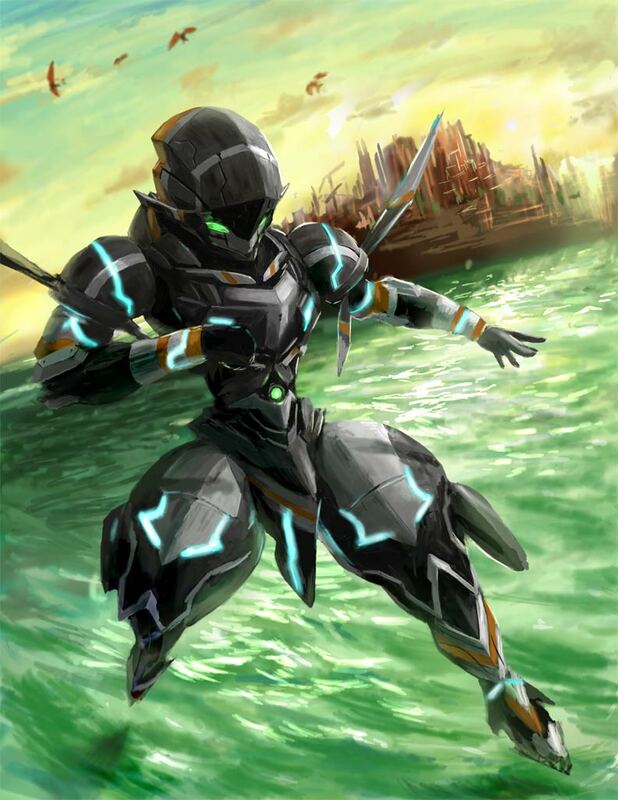 And who can forget the Knightmares of Code Geass: Lelouch of the Rebellion? Heck, even Escaflowne had a medieval/fantasy mech element to it. While Valvrave and Gundam and others are certainly very good, they have stories which revolve almost entirely around the mechs. Others, such as Escaflowne and Code Geass, have stories which, really, just have the mechs as part of the background: part of the world, and used by the characters, but not really influencing or influenced by the plot. 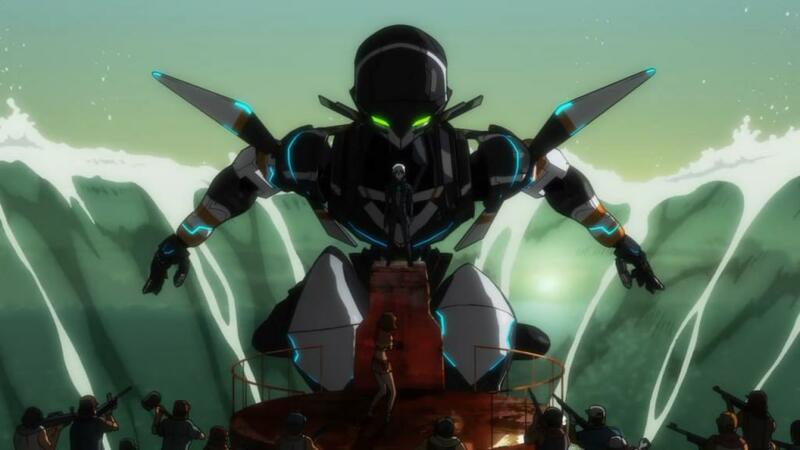 In Gargantia, we have mechs which do both, being part of the background and a real part of the story. In this way, the mechs here enhance the story without taking it over completely. The story involves the robot(s), but it’s about people. One person, in particular, takes the forefront. 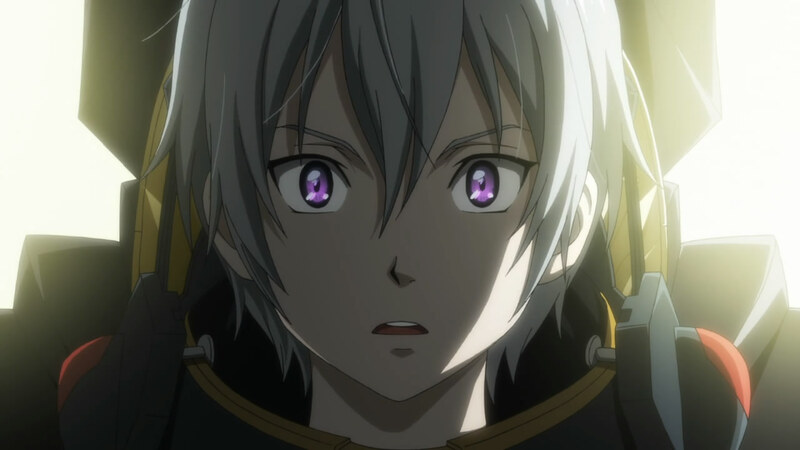 I don’t want to spoiler the anime for anyone who hasn’t watched it (which, you should), so I shall simply say that Ensign Ledo is taken from the clear, violent world he grew up in, and dropped into a world that is more complicated, but also more peaceful. Through his experiences, he learns what humanity is, that such includes charity, love, desire, joy, freedom, community, and coexistence. He is much like a robot himself at the beginning, cold and obedient, but he finds something else, and sheds that artificial part of himself for something true and the result of his own decisions. …there’s such a thing as… happiness? As for the mech element, specifically, Ledo is assisted in everything he does by the robotic combat machine, a “Machine Caliber,” as it’s called, and its AI, called Chamber. Chamber is highly advanced, especially when compared with primitive Earth machines, called “yumboro,” most of which are more like versatile construction machines than anything else. Chamber is very much at the top of the proverbial food chain when it comes to combat, leaving his enemies, to quote Avengers, “Hopelessly, hilariously, outgunned.” At least until another Machine Caliber shows up. With primitive technology, complete with oil and grease stains, advanced technology scavenged from the sea bottom, and the super-advanced technology of Chamber and his fellow Machine Calibers among the stars, we have a fair variety of tech to give the background texture, but it also comes into play as an essential part of the plot. The two Machine Calibers and their pilots wield a tremendous amount of influence, one of them ruling a cult and the other (Ledo and Chamber) stirring the hearts of their friends. The yumboros are used both in labor and in combat, with a certain pirate lady having one specialized, plenty dangerous to anyone outside the aforementioned Machine Calibers. Old, salvaged ships, laser cannons, and a massive projectile device retrofitted into an artillery cannon all play important roles in the final, overarching, conflict, as well as the major themes of the entire story. What? We’re allowed to like things just because, ya know? 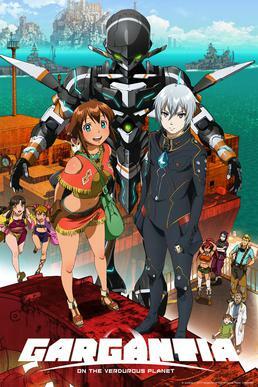 This entry was posted in 30-Day Anime Challenge, Anime and Cartoons, Challenge Accepted and tagged Gargantia on the Verdurous Planet. Bookmark the permalink.